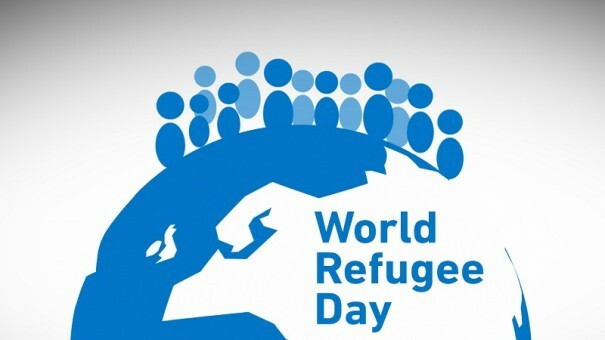 June 20 is World Refugee Day, and as we remember the plight of millions of refugees stranded around the world, it is important to call attention to those who abuse the asylum system by falsely claiming persecution simply to get into a country. This not only jeopardizes a whole system and delays asylum adjudications (not to mention the financial cost); it especially harms those who urgently need refugee protection. Most asylum claims nowadays, whether in Europe or the United States, are not genuine. Migrants are more and more using the asylum ticket to gain entry into a country and stay. According to recent European statistics, most asylum claims in Europe in the first 2018 quarter were rejected. During that period, only 19 percent of applicants got refugee status. 105,370 or 63 percent were "Rejected". 31,650 or 19 percent got "Refugee status". 18,375 or 11 percent got "Subsidiary protection". 11,410 or 7 percent were accepted for "Humanitarian reasons". That is not to deprecate the suffering of those who use asylum as an admission ticket. But undergoing hardships at home and being driven by a desire for a better life abroad are not qualifications for refugee status. Since 2014, more than 300,000 family units or unaccompanied minors have arrived illegally into the United States from Central America and applied for asylum claiming fear of gang members or violent husbands, etc. Most do not meet the refugee status requirements. According to the Migration Policy Institute, "being forced to join a gang or experiencing violence do not generally qualify as a basis for refugee status or fall readily into one of the refugee definition categories." [A] vast majority of these families [from Central America] don't show up in immigration court and they get an order in absentia, because they – not only did they enter the country illegally and go into hiding, they won't appear in front of an immigration judge... [L]ook at the facts of what's going on, look at how many families do not get a final fear finding from a judge – because most don't; like 80 percent of them do not ... So there's a lot of fraud going on. And they know it, and they're certainly not going to show up to a judge and, you know, present a fraudulent case. And 80 percent don't get a fear finding. So ... I think a majority of them are taking advantage of a low threshold, and there's a lot of asylum fraud going on, and they're hiding ... They figured out the loopholes. They figured that, as I just said, they can come and have due process at great taxpayer expense and just disappear into society. Even if some did have valid apprehensions and were to qualify for humanitarian protection, why not reach out closer to home in one of the countries they cut across to come here, like Mexico? Immigration lawyer Nolan Rappaport suggested "An alternative to Trump's family separation policy": "Trump could establish an expanded version of Obama's CAM program now that would make it possible for adults as well as children in Central America to apply for refugee status without having to travel to the United States." This proposal does not hold. Here's why. The Central American Minors (CAM) program, an in-country refugee program in El Salvador, Guatemala, and Honduras for unmarried children under 21 of certain lawfully present parents residing in the United States, was launched by the Obama administration in 2014. In 2016, the program was expanded to allow additional categories of applicants. The program was finally terminated in January 2018 since, as stated in the Proposed Refugee Admissions Report for FY 2018, "the vast majority of individuals accessing the program were not eligible for refugee resettlement." I had suggested in a previous post that Central Americans claiming persecution apply for asylum at Costa Rica's refugee processing center instead of heading to the U.S. This center was specifically set up (and mostly funded) by the U.S. under the Obama administration in collaboration with the UN Refugee Agency (UNHCR) and the International Organization for Migration (IOM) to offer individuals from El Salvador, Guatemala, and Honduras a safe and legal alternative to a dangerous journey to the U.S. For the record, this center is still running under the Trump administration. But these migrants choose to come straight to America because it was all along a matter of destination not persecution. They want to come here for a better life, many to join family members who preceded them. To do that, they learned the drill: Turn yourself in to U.S. officials and ask for asylum, then disappear as you await your day in court. The Trump administration is now set to close these loopholes and discourage false asylum claims that are asphyxiating the system. The United States' current asylum backlog reached 300,000 cases and continues to grow. Delays in the timely processing of asylum applications are detrimental to legitimate asylum seekers. Furthermore, while a series of security checks are initiated when an asylum application is filed, lingering backlogs can be exploited and used to undermine national security and the integrity of the asylum system. For example, the existence of significant backlogs may attract applicants who submit frivolous asylum applications solely to obtain employment authorization, knowing that they will wait months or years in the backlog before their claim can be heard and denied ... USCIS is identifying all available resources to begin to address the growing asylum backlog and prioritize the processing of asylum seekers domestically while discouraging frivolous filings. Refugee advocates should, if not denounce those fraudulent claims that harm genuine refugees, at least refrain from encouraging them.